This article has been written with the sole purpose of examining the psychology of persuasion techniques utilized by the 2016 presidential candidates Hilary Clinton and Donald Trump. It by no means has been written with the intention of pushing the political agenda of either candidate. In only a few short weeks, the 2016 Presidential Election will come to an end when the American people elected the 45th President of the United States. 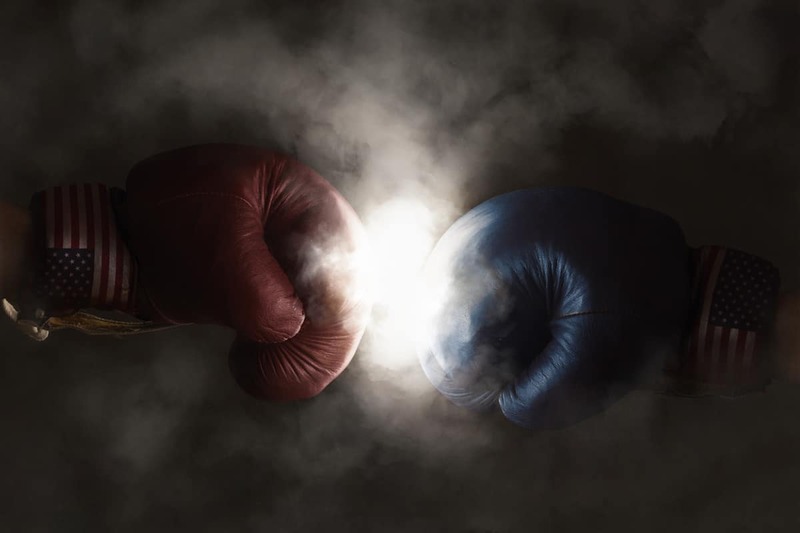 In what has been deemed the strangest, and potentially most publicized, election ever to take place on American soil, two highly polarizing mega-icons have battled to secure votes by preaching vastly different messages. To win the presidency, Hilary Clinton and Donald Trump have relied on contradicting psychology of persuasion strategies in hopes of appealing to the widest possible range of voters. To gain an understanding of how each candidate uses the psychology of persuasion, and better prepare ourselves for the final few weeks of the race, we can examine a number of campaign strategies that have been used throughout this election cycle. To do this, however, it will first be important to improve our understanding of a number of psychologically based persuasion concepts and explore the methods that past presidential candidates have used to influence the general public. In the field of psychology, persuasion is regarded as one of the main strategies that individuals and businesses use to influence the behaviors, emotions, and opinions of others. In much the same way that advertisers use persuasion as a tool to entice us to buy particular products, politicians use persuasion as a way to convince us to vote for them or support their given agenda. By looking at a number of relevant concepts found within the psychology of persuasion literature, we can formulate a basis for better understanding the methods that Hilary Clinton and Donald Trump use to secure votes. The first psychological concept that is worth discussing is the Elaboration Likelihood Model of persuasion (ELM), which was developed in the mid 1980s. Distinguished psychologist Richard Petty and celebrated social neuroscientist John Cacioppo developed the model as a way to show how individuals and businesses use two different persuasion routes in hopes of influencing others to act or think a certain way. The ‘central route’ of persuasion aims to entice others with logical reasoning and factual information, while the ‘peripheral route’ of persuasion emphasizes positive feelings and emotional appeal. Petty and Cacioopo believed that the persuasion potential of the two routes is largely dependent upon factors such as the audience and situational circumstances. If the recipients of the persuasion message have the motivation and abilities to intellectually think about the reasoning of a given topic, the central route would serve as a more adequate persuasion method. However, if the recipients have minimal interest or don’t posses the intellectual abilities to process the proposed message, the peripheral route would be considered to have more persuasion potential. Liking: Individuals are more willing to be influenced by those who are similar to them. Reciprocity: Individuals typically repay what has been given to them, so giving others what you want to receive can be used as a way to influence. Social Proof: Individuals are easily influenced by respected peers or majority group thinking. Scarcity: Individuals are influenced when they are offered something that they don’t currently possess. Authority: Individuals are easily influenced by the opinions of experts. Consistency: Individuals typically stay true to the commitments that they make, so securing a commitment from others can assure future influence. Depending upon the particular situation or circumstances, a number of these truths can be useful to remember when attempting to persuading others. In order to examine the persuasion techniques used by the 2016 presidential candidates, we will focus on the universal truths of Liking, Social Proof, Scarcity, Authority, and Consistency. These five truths, along with the two persuasion routes found within the Elaboration Likelihood Model, will help us differentiate and make sense of both Donald Trump and Hilary Clintons’ persuasion strategies. In 1952, Dwight D. Eisenhower became the first presidential candidate to use television advertisement. Throughout the history of presidential elections in the United States, a number of key factors have consistently helped to shape the persuasion strategies used by presidential candidates. The ever-evolving technological landscape has made it easier than ever for today’s presidential hopefuls to reach mass audiences, but that hasn’t always been the case. It wasn’t until the third presidential election in 1796 when candidates began using mass media persuasion strategies to entice large numbers of people, and it wasn’t until 1952, when presidential hopeful Dwight D. Eisenhower became the first candidate to use television advertisement. Another major persuasion shaper has been the demographics of the country, which have continuously shifted since the founding fathers drafted the original Declaration of Independence in 1776. The Latino population in the United States, for example, grew from 6.3 million in 1960 to 55.3 million in 2014. In addition to factors such as technology and demographics, presidential candidates will also customize their psychology of persuasion strategies depending upon their political affiliation, the current state of the country, and the background of their competitive counterpart. While Donald Trump has promised change from the status quo, Hilary Clinton, who is closely associated with Barack Obama, has aimed to highlight the immense progress that has been made during the current President’s eight years in office. Furthermore, both candidates have been quick to attack each other’s history, judgment, and qualifications as a way of persuading voters through negative propaganda. Now that we have examined a number of relevant psychology of persuasion concepts, as well as the key variables that affect the persuasion strategies of presidential candidates, let’s turn our attention to exploring the persuasion approaches taken by Hilary Clinton and Donald Trump in the 2016 election. In addition to the Liking and Authority truths, Clinton has used the Social Proof truth in hopes of swinging independents and moderate republicans away from voting for Trump, by discussing how a number of prominent republicans are unwilling to make an allegiance to the republican candidate. Finally, because of her previous work history with Barack Obama, the democratic nominee has had to focus on using the Consistency truth to remind Americans of the progress that has been made during the past eight years. While the messages that Trump and Clinton use to entice voters are vastly different, the universal truths of influence that they use are much more similar. While Clinton has tried to increase her likability with voters, Trump has used the Liking truth by portraying himself as an unpolitical politician who is dealing with the same issues and fears that the average American is dealing with. Instead of relying on flashy political rhetoric, he speaks to the American people using conversational vocabulary that is more easily understood by all. In similar fashion to Clinton’s strategy, Trump has used the Liking truth to negatively describe Clinton as being unreliable, unhealthy, and lacking the business knowledge to improve the American economy. In addition to using the Liking and Authority persuasion techniques, Trump also uses the Social proof and Scarcity truths. He regularly references endorsements that he has received from important groups of citizens, such as the Fraternal Order of Police, in hopes of convincing others to follow their lead. Lastly, while Clinton has had to make the effort to legitimize Barack Obama’s time in office, Trump has counteracted her pitch by using the Scarcity truth to paint a bleak picture of American life today. His promises about safety, prosperity, and economic wellbeing are very much given as a way to show the American people that he can supply them with what they don’t currently have. Over the next four weeks, it would be worth your while to analyze each candidate’s pitches from the perspective of a psychologist. By understanding the psychology of persuasion techniques utilized by both Donald Trump and Hilary Clinton, each of us can be better prepared to decide which candidate we will support on November 8th.